At the heart of every superhero story is a central question that fires our imaginations every time, and nobody took it further than Stan Lee. The extraordinary array of well-known characters he brought into the world, which return again and again across many formats and platforms, is testament to that. Cosmic stories like the creation of the universe are just too big to really relate to as stories, at least in the scientific telling – but many mythologies and religions make these stories relatable by ascribing these vast events to recognisably humanized figures. Gods like Zeus/Jupiter and Odin/Woden are presented like more powerful versions of human beings, able to shape the world with their powers and the sometimes arbitrary logic of their choices and lives; ancient heroes like Hercules and Beowulf are humans but given extra powers or significance. Superhero stories are clearly following in this tradition – and grasp towards almighty powers at times (DOCTOR STRANGE, CAPTAIN MARVEL, The Phoenix in X-Men). By bringing these forces down (or up – SPIDER-MAN!) to our scale, we get to explore how people like us would act if they were capable of so much more than we are. It’s no coincidence that the modern superhero genre and many of its biggest characters have their origins in the Great Depression – when ordinary people were powerless against global economic forces. The flimsy justifications that the storytellers find for giving these figures their powers, are really just an excuse to let our imaginations run riot, and are quickly delivered and forgotten about in most of the origin stories, so that we can get onto the fun and exciting bit. Superheroes and supervillains both play out these powers and their potentials and hazards throughout every story. 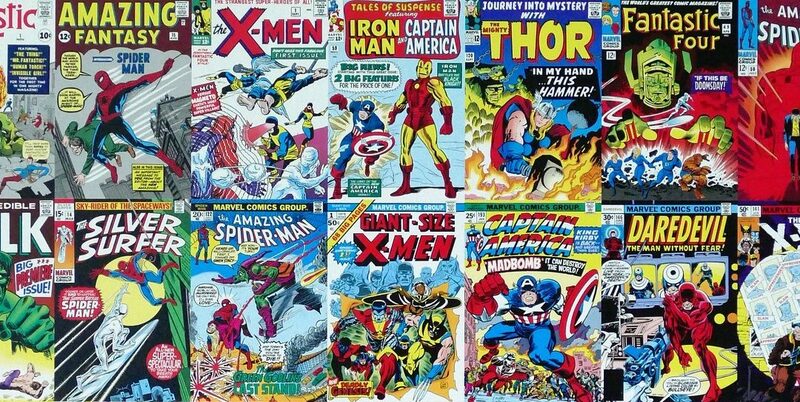 Here are some of our favorites at WriteMovies from Stan Lee’s creations. If you could… move and sling webs like a spider! On the one hand, Peter Parker is just an ordinary teenager, worried about the same kind of things as any other teenager – on the other, he finds himself equipped with the awesome powers that make him SPIDER-MAN. We can all relate to his troubles at school while rooting for him to become a true superhero as he learns an important lesson: “with great power comes great responsibility”. If you could… fly around in an armored suit! IRON MAN’s Tony Stark is basically another Bruce Wayne, but with much quirkier personality. As an outright arms manufacturer, he’s also more morally compromised than Wayne. While Wayne has an orphan sob-story, Stark has an ego. And unleashing an ego that size, on a suit that powerful, creates excellent conflict throughout – so much so that in CAPTAIN AMERICA: CIVIL WAR, he can fight against many of our other heroes, without losing our empathy. If you could… use you other senses to fight despite being blind! DAREDEVIL has found immense success on Netflix, and with good reason. Matt Murdock is a deep, conflicted character, living in a world of darkness after being blinded as a child. With his other senses heightened, the Devil of Hell’s Kitchen is so captivating because he doesn’t just overcome his physical disability but turns it into a strength, proving that anyone – even someone who is blind – can become a superhero. If you could… shrink to the size of an ant! Scott Lang may be a former criminal, but his desire to reform himself makes us support him all the same. As ANT-MAN, he proves that even the smallest person can make a huge difference – and all while showing us a crazy world around us too small for us to even see! Stan Lee has given us plenty of amazing creations over the years, and the world is a lesser place without him. Take a look too at our thoughts on two films based on his other superheroes, THOR: RAGNAROK and BLACK PANTHER! Blend several genres at once to give audiences a new way of experiencing a familiar emotion – doing so is often very successful at the box office.